The whole month of February is a celebration of LOVE! Get your best dress out, we're taking ourselves to a litte French getaway. And the creators of SheBelongs Fort Worth would love to celebrate this occasion with you -- s'il vous plaît! 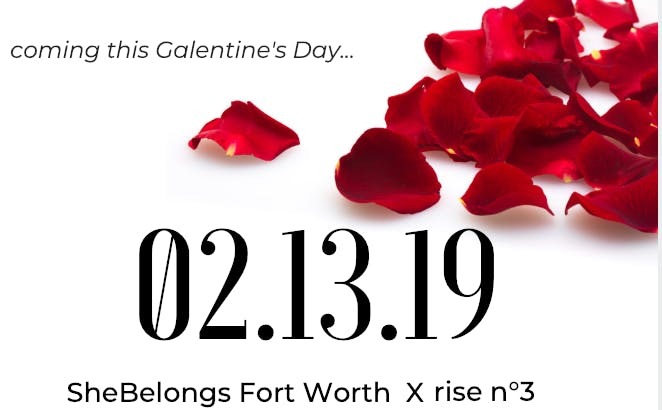 Come join us for a Galentine's Dinner Party at rise No. 3, salon de soufflé and wine bar - the masterpiece of French cuisine! -glass of champagne to toast!